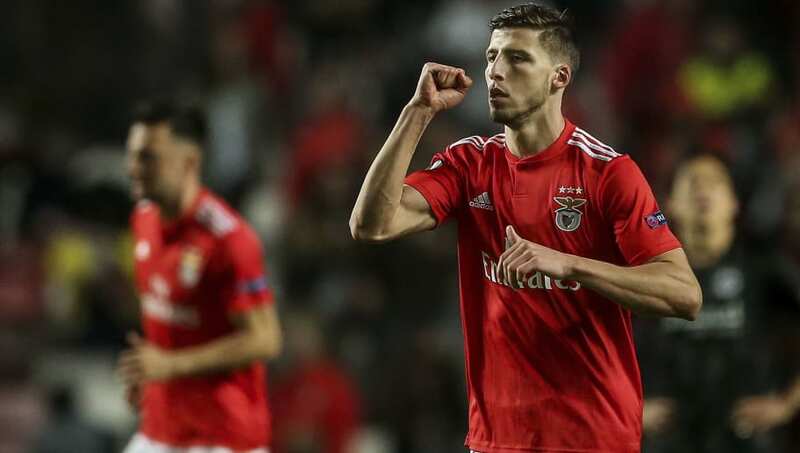 ​Both Manchester United and Atlético Madrid have been linked with a move for Benfica's young centre-back Rúben Dias. Ole Gunnar Solskjær is keen to strengthen his back line this summer, with defensive reinforcements high on the Norwegian's shopping list. It is believed United's chief scout Marcel Bout has watched the 21-year-old on a number of occasions. Atlético are also in the market for a centre-back as Diego Someone searches for a long-term replacement for Diego Godin, who, in turn, is linked with a move to Inter this summer. Here are six things you need to know about the Benfica star. ​The 21-year-old Benfica star has missed just four games in all competitions this season, starting 28 out of 29 in the league. A fan favourite, he has been vital in helping his side to reach the quarter-finals of the Europa League and to the top of the league table. Dias has helped his side keep 12 clean sheets this season, and has also netted on two occasions - in Benfica's 4-2 victory over Sporting CP and in a 10-0 thrashing of Nacional. Dias is one of the array of talents that Benfica have produced over the years. Academy graduates such as Bernardo Silva, Renato Sanches, Victor Lindelof, Ederson, Nemanja Matic and Angel di Maria have ended up in the Premier League, and he could well be the next to could follow suit. As somewhat of a selling club, Benfica have made more than £230m on academy products - with the likes of João Cancelo, Ivan Cavaleiro, Nelson Semedo, André Gomes, Gonçalo Guedes, Helder Costa and Nélson Oliveira all moving elsewhere in recent years. He was a regular for Portugal Under-17s, before captaining the Portuguese Under-19's at the 2016 European Championship in Germany. He then moved up to captain the Under-20 team at the 2017 World Cup in Korea. Following a string of impressive displays, Dias was called up to the senior squad for games against Egypt and the Netherlands, before becoming part of Fernando Santos' national team for the Russia World Cup in 2018. There is no question he will be a mainstay in the senior squad backline for many years to come, and some have suggested he is a future captain in the making. Dias has been likened to Liverpool’s Virgil van Dijk and Napoli’s Kalidou Koulibaly, and is considered to be one of the best young defensive prospects in world football. Playing at the heart of Benfica's defence he possesses great leadership qualities for someone so young, and has arguably been the side's best player this season. He has averaged a pass success rate of over 81% in Liga Nos and 86% in both the Europa League and Champions League.There is no question he would fit the bill in any one of Europe's elite. Starting his career at local club Estrela da Amadora, before moving to Benfica’s youth academy in 2008, Dias quickly shone and scored on his Benfica first-team debut against Boavista in 2017, netting a powerful header. Dias went from strength to strength in his maiden campaign, and was voted Liga Nos' Young Player of the Season. ​Manchester United, Atletico Madrid as well as Juventus all remain keen on his services, but will have to pay his €60m release clause. ​Atletico are said be leading the chase for his signature, with ​Lucas Hernandez joining Bayern Munich permanently and ​Diego Godin linked with a move to Inter. Solskjær had reportedly earmarked Dias as partner for Victor Lindelöf in the United defence, but it seems the player has his eyes firmly set on a move to the Wanda Metropolitano. ​Juventus are also considering the Portuguese international as a replacement for 34-year-old Giorgio Chiellini, but may have to look elsewhere.